LEAD Technologies offers a complete line of file conversion software solutions ranging from end-user applications to server and development packages. Whatever your need, there's an ePrint for you! The award-winning LEADTOOLS ePrint file converter is the complete solution for image and document conversion. Convert from ANY Windows application to over 150 file types including PDF, DOC, HTML, TXT, TIFF, JPG, GIF, PNG and many more. 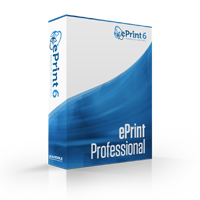 Includes the ePrint printer driver as well as a complete workstation desktop application for your more advanced printing needs. Perfect for companies needing multiple copies of ePrint without the hassle of installing it on each individual employee's computer. 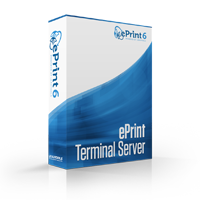 ePrint TS provides system administrators with a centralized location for ePrint software installation as well as updates and upgrades. Are you a programmer and want to create your own print-to-file application? 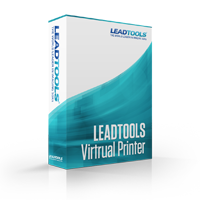 Use the same technology that powers ePrint, the LEADTOOLS Virtual Printer SDK.